Renee has exceptional intuition and objectivity when it comes to seeing the bigger picture. As an experienced educator, she found that coaching skills and a holistic approach to personal and professional growth was part of the 21st century skills made so popular in recent years. 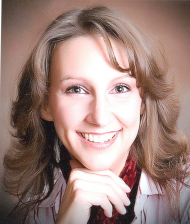 Renee is a certified Life Coach and a Certified TetraMap Facilitator. Her workshops and courses for educational administration, teaching, and parenting in the 21st century have helped schools and parents explore effective techniques and break-through paradigms becoming models to be followed. In recent years, she has applied her skills to developing work teams that were struggling under control-based leadership. Her mission is to inspire people to take a step forward into the unknown and make the world a smaller place through understanding and communication. I have worked in Mexico, Qatar and Jordan. With my understanding of the Middle East culture, I continue to strengthen ties in that region and am available for workshops in that area of the world. Become observers of our actions, reactions and emotions. Create a framework for goal setting. Cultivate and balance abilities for proactive communication. Foster an environment of true collaboration. The TetraMap program has been part of my life for over 4 years. Both my children use the TetraMap vocabulary when referring to any issue with relationships. This tool has transformed the way I see the world and education, and I look forward to sharing this vision with you. I’m using TetraMap every day. I used to have a lot of problems with my sister and my school partners because being an engineer is not exactly what I want to do with my “Fire.” Now that I know who I am and what I do, I’m more patient with the others, and it’s great! Thank you so much!